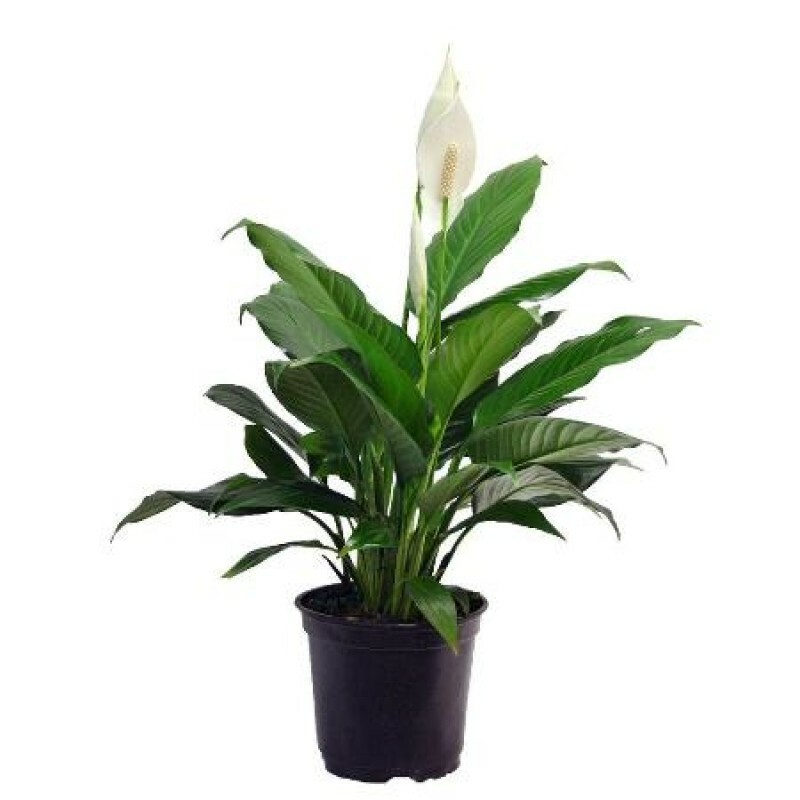 The Peace Lily is a striking plant when used in a massed display. They bloom in the spring with long-lasting flowers that hover gracefully over the leaves on thin stalks, although they can be forced to bloom in the fall or winter. 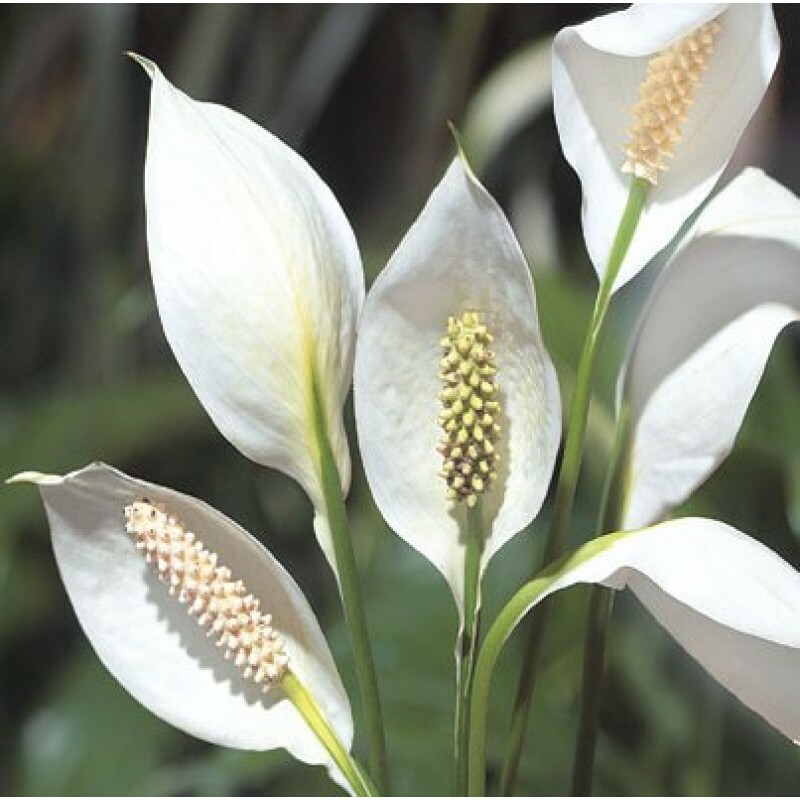 A very well-grown Peace Lily may bloom twice a year, resulting in several months of flowers. All spathiphyllum are vulnerable to bugs including aphids, mites and scale, as well as root rot if they are allowed to sit in water. Curled, pale leaves generally indicate too much light. Scorched leaves indicate direct sun. Plants that are not properly fertilized may fail to bloom. Light: They are shade-loving plants in their native habitats, and in the home they prefer light to moderate shade. Some varieties can withstand more light. Water: During the summer, water and mist frequently. They thrive with higher humidity. In water, reduce watering, but never allow the soil to dry out. Temperature: They really prefer moist warmth; avoid cold drafts and temperatures below 55ºF if possible. Soil: These plants like a rich, loose potting soil containing plenty of organic material. Fertilizer: Feed weekly in the summer, or use slow-release pellets at the beginning of the season. Peace Lilies are easy to propagate by division during repotting. Annually, in the spring or as needed. Large plants can be divided into clumps, which can then be independently potted. Always use high quality potting soil. S. Starlight. The narrow leaves on this plant have wavy margins. The plant is known for heavy, multiple blooms, with as many as 20 flowers on a single plant.